When will be Súper X next episode air date? Is Súper X renewed or cancelled? Where to countdown Súper X air dates? Is Súper X worth watching? Súper X is a Mexican comedy television series produced by Miguel Ángel Fox for Blim. The first season was released on January 20, 2017. A second season has been confirmed. 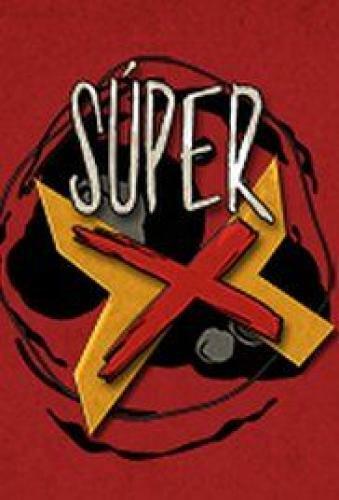 Super X tells the story of Alex a normal guy, who works in a video game store, lives with his mother, has bad luck with women and spends time with two friends who are his worst advisers: Lalo, an eccentric and privileged young man whose dream is to be a recognized actor, and Simon, his spotted and plump cousin. As a result of an unfortunate accident, Alex acquires powers, however, he will continue to lead the same life of loser with his friends Lalo and Simón, while trying to conquer without much success Vicky, his platonic love. Súper X next episode air date provides TVMaze for you. EpisoDate.com is your TV show guide to Countdown Súper X Episode Air Dates and to stay in touch with Súper X next episode Air Date and your others favorite TV Shows. Add the shows you like to a "Watchlist" and let the site take it from there.